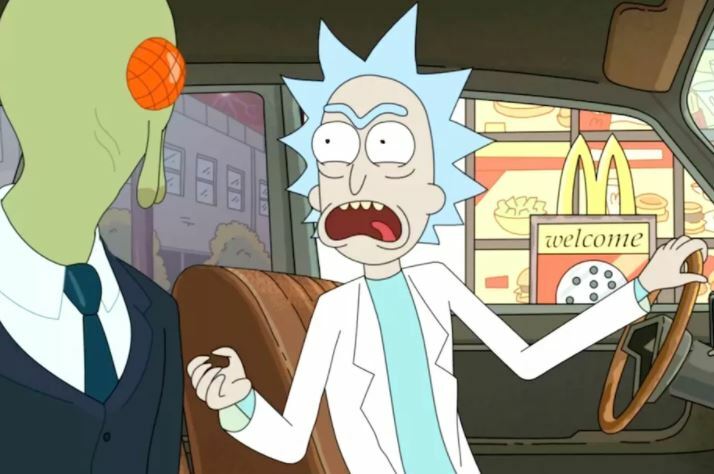 Rick and Morty fans listen up – McDonald’s is bringing back Szechuan Sauce for winter after some desperate scenes over the weekend, and it is not a drill. 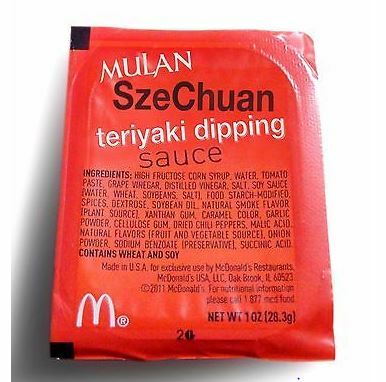 The Szechuan sauce – a teriyaki dip – originally made and sold in 1998 to promote the Disney film Mulan has become well known once again after featuring in the hilarious cartoon sitcom Rick and Morty. McDonald’s gave in to fans demanding its return and created a limited one-day-only event in America on Saturday, where they had a re-release of the sauce for all the fans. Only, it really didn’t go too well. At all. Fans were left severely disappointed after selected stores across the country quickly ran out and in one video posted online police can be seen holding back people chanting ‘we want sauce’. Across the US, fans’ hopes of getting their hands on a little packet of Szechuan Sauce quickly faded and packs appeared for sale online with a huge mark-up… but McDonald’s has come through for everybody and made the announcement everybody wanted. You spoke and they listened, as they put it. To our customers and Szechuan Sauce lovers. Yesterday we were truly humbled by the amazing curiosity, passion and energy this community showed to welcome back Szechuan Sauce – even if just for one day. Thank you, a million times over. Between the costumes, the memes and cross-state travel, you, the fans, showed us what you got. And our super-limited batch, though well-intentioned, clearly wasn’t enough to meet that demand. We agree. So we’re gonna make this right. In the last 24 hours we’ve worked to open any portal necessary. And it worked. Szechuan Sauce is coming back once again this winter. And instead of it being one-day-only and limited to select restaurants, we’re bringing more – a lot more – so that any fan who’s willing to do whatever it takes for Szechuan Sauce will only have to ask for it at a nearby McDonald’s. We want to make this right. You’re some of the best fans in this, or any, dimension.. and we plan to deliver on that promise as soon as possible. Stay tuned. The first episode of season three of Rick and Morty, titled The Rickshank Rickdemption, sees Rick tell character Cornvelious Daniel about the sauce and he orders some from a mind prison induced McDonald’s, as he can only eat it in his memory. After watching a memory of Rick’s wife and daughter apparently dying, Cornvelious says the sauce is ‘f*cking awesome’. 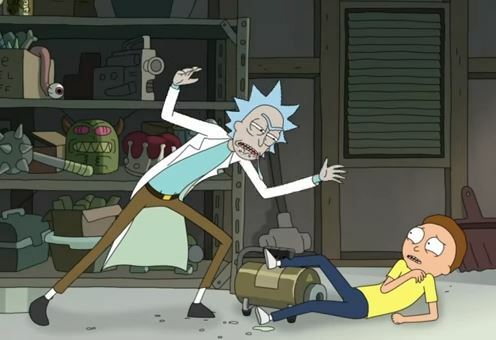 After escaping, destroying the Galactic Federation and the Citadel of Ricks, and driving Jerry out of the family, Rick tells Morty he wasn’t motivated by saving his family. It was all about ‘that McNugget sauce’. I want that Mulan McNugget sauce, Morty. That’s my series arc, Morty! If it takes nine seasons! Earlier this year, a pack of Szechuan, which is a tangy plum sauce, was sold on Ebay for $14,700.00 (£11,500). And only a few days ago it was revealed over Elon Musk – CEO of Tesla and the SpaceX project among other things – announced he was massive fan of the show. Musk tweeted the Rick and Morty account telling them how good the final episode of the season was, saying it was ‘disgustingly good’, and a romance was born. I really want to try some of this sauce!